Seattle Times reporter Benjamin Romano was back in his hometown of Portland to take in the Blazers' season opener on Thursday night. 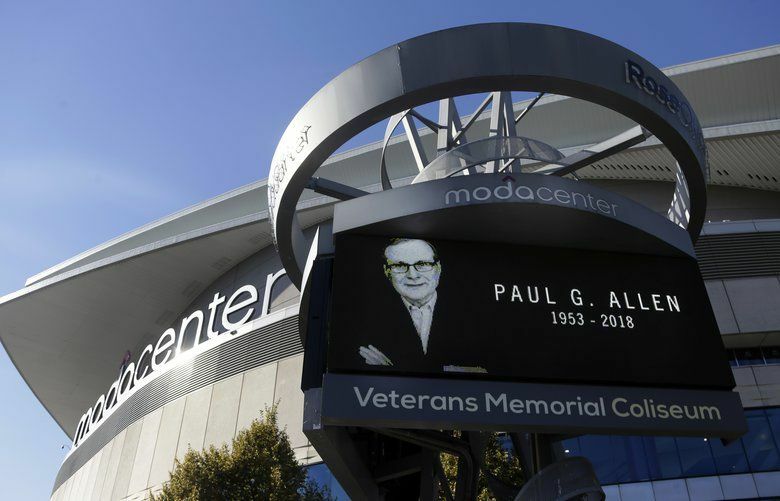 It was the first public event with a Paul Allen connection since Allen's death on Monday, and the Blazers thoughtfully honored their owner. 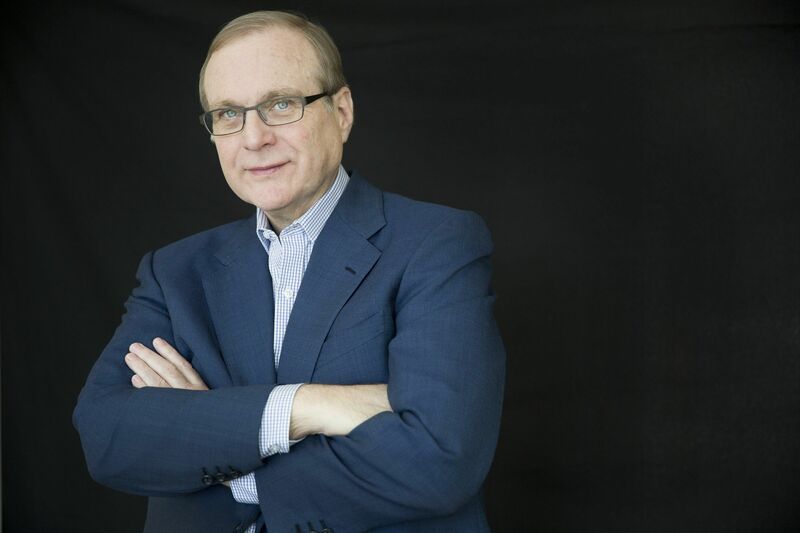 PORTLAND — The NBA season opener on Thursday featuring the league’s biggest star was the first event with a Paul Allen connection since he died on Monday, and the first opportunity for a public memorial. The 20,000 NBA fans packed into the Moda Center somehow took a break from the rock-concert excitement of the hometown Trail Blazers debut and LeBron James’ first game in a Los Angeles Lakers jersey for an extended moment of true silence in honor of Allen, who bought the team 30 years ago. 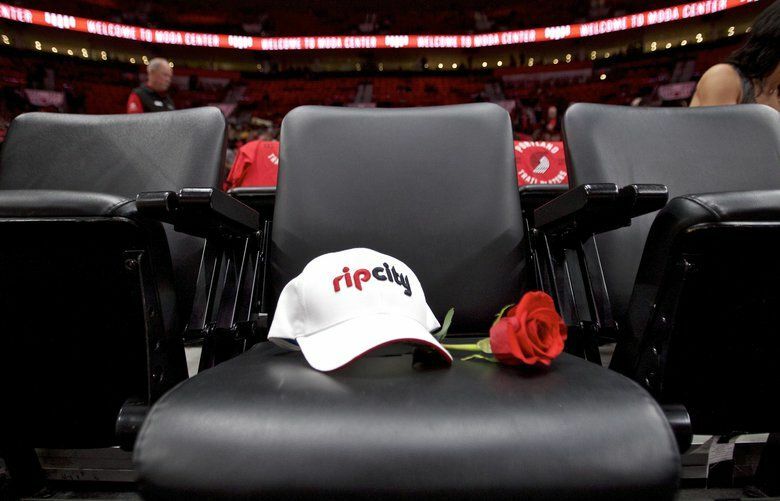 The courtside seat under the hoop near the Blazers bench, where the private Allen had been his most visible and emotive, was empty but for a white “Rip City” hat and a red rose. An a cappella group The Brown Sisters of Portland sang a soaring “Star Spangled Banner” tinged at times with mourning. Fans had tears in their eyes. The Blazers took the court wearing Allen’s initials over a black band on their jerseys and “RIP Paul Allen” on their shoes. Seattle Seahawks fans will not have an opportunity to celebrate Allen until the next home game at CenturyLink Field on Nov. 4. No plans for a funeral or other memorial service have been announced by Allen’s estate or Vulcan Inc. as of midday Friday. After an electrifying exchange of dunks including two James tomahawks inside the first minute, an early break in the action made space for a video highlighting Allen’s tenure. Paul was an impactful force like none other. In #RipCity we knew him best for his love for our team, its employees & fans. He became the youngest NBA owner in league history when he spent $70 million of his Microsoft fortune to buy the Blazers in 1988, at age 35. He described the NBA as “his first love.” Sonics fans no doubt wonder what might have happened had the team been available when Seattle native Allen was shopping. It was a golden era for the team, which made the playoffs for 15 consecutive seasons following Allen’s purchase, including Finals appearances in 1990 and 1992. Allen pushed for construction of the Rose Garden to replace the aging, undersized Memorial Coliseum, where the Blazers won the team’s first and only championship in 1977. 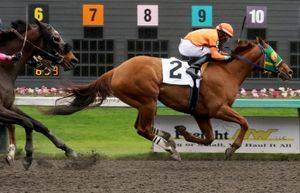 He financed the majority of the costs for the $263 million arena, which would become a major amenity on the east side of the Willamette River. “May each of you have many many opportunities to have fun and be entertained in this wonderful new facility,” Allen said when it opened in 1995. Growing up in Portland during these years, I had no idea who Paul Allen was. The Blazers were the only major pro sports team in town. We were all Blazermaniacs, focused on our heroes on the court – Clyde Drexler, Jerome Kersey, Terry Porter – and ignorant of the business of basketball and sports-venue financing. But the billionaire from Seattle who jetted in for games never really became a part of the Portland community, and the big real-estate development projects Allen had envisioned for the Rose Quarter surrounding the arena didn’t come to fruition. That’s not to say Allen isn’t missed here; quite the contrary. 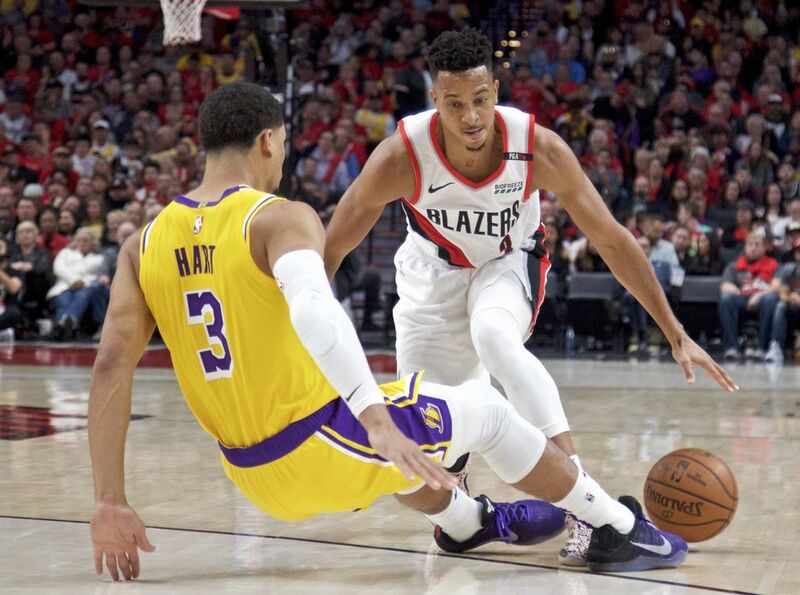 On an extraordinarily warm October evening, as fans filed into the slick, modern entertainment complex before the game, there was gratitude for Allen’s stewardship of the team mixed with trepidation about the Blazers’ future. There’s more going on here now than when Allen bought the Blazers. 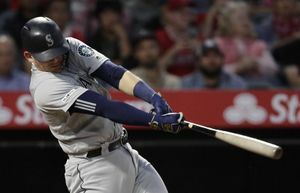 Portland has a thriving Major League Soccer franchise, and a group that includes Seahawks quarterback Russell Wilson is trying to bring a Major League Baseball team to the city. But for many Portlanders, the Blazers will always be their first sports love. 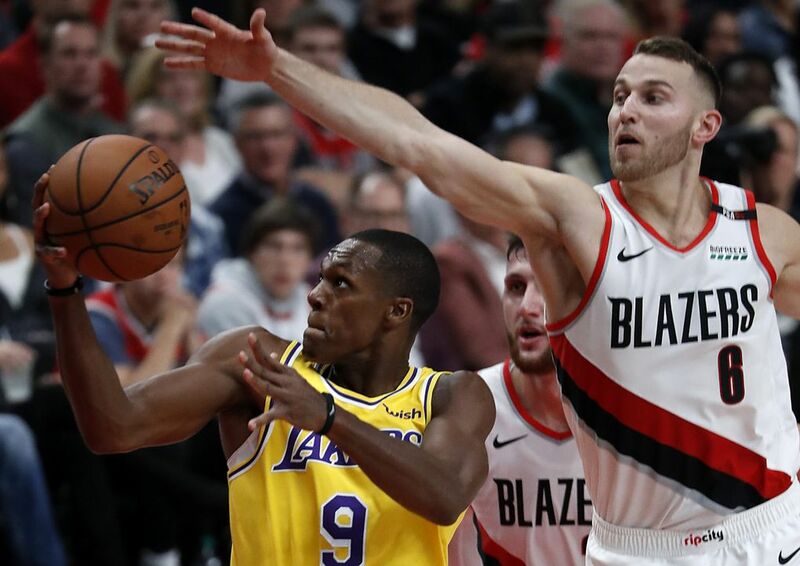 The team pulled away from the Lakers in the fourth quarter, sealing a 128-119 win and the Blazers’ 18th consecutive home-opening victory – and the first in a generation without Paul Allen cheering them on. "We wanted to come out here and play in his honor."